Model T Ford Forum: OT would this be our Bruce McCalley? OT would this be our Bruce McCalley? Model T Ford Forum: Forum 2011: OT would this be our Bruce McCalley? 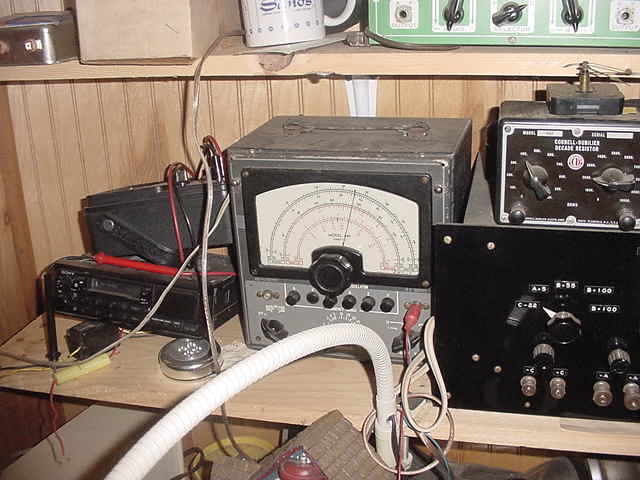 I have 1 of those Jackson Rf Signal generators here on the shelf that works. I also have the big radio teletype machine with a small ticket puncher thingy to.I would love to find a museum or something to donate this teletype to it is big and heavy and I have no use for it. I do think it is the same Bruce. Well - even though Bruce looks like a kid, he is on the "wrong" side of 80 and I actually believe he is engineer within this area, so it could very well be Bruce that have done that article. I have just converted one of the Heathkit DVM from using tubes to FETs, works great and still looks like it did in the 1950's. I think it is our Bruce. And on the cover of the "black book" it's read that the author is Bruce W McAlley, so it MUST BE our Bruce. In a third article some of the equipment iin ACS are further described, thye author of the ACS article is mentionad as the Gazettes editor. So Bruce have been editor of this clubs magazine, The Gazette. I confess....It was me. I was editor of the radio club's magazine a while back and posted a number of articles I did on their web site. Strangely, nothing has beed added since. There's some interesting material there munder Gazette. The way I found it was, I was looking for any mention of my Uncle who helped install the phone system in Anchorage (actually with my memory it might have been Fairbanks). I thought it was well after 1947, but I heard the story so many times growing up I think it is burned in my brain. While looking, I found this. He would be 92 now if he was still around. visited Point Campbell point a few times. 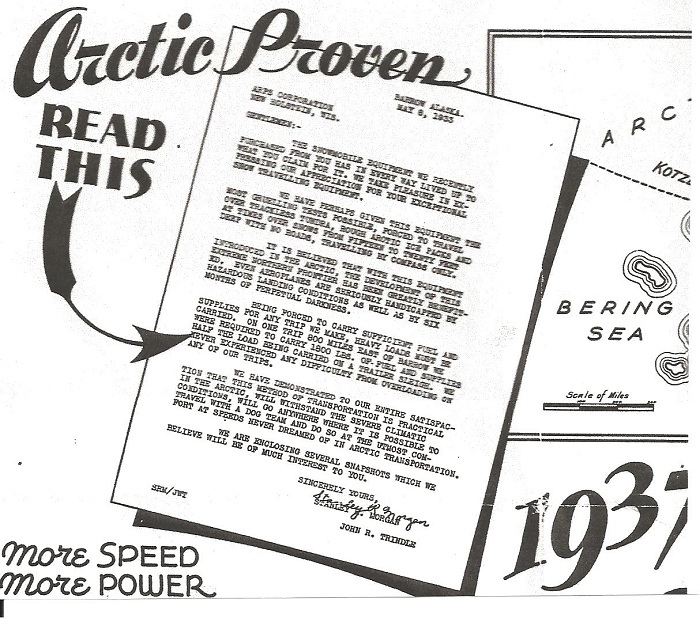 The U S Army Signel Corp.( Stanley Morgan and John Trindel ) took a Model A Snow Bird to Nome by ship in 1930-31 and drove it to Barrow Ak. and across to the Canadian border a few times. This appeared in the Arps Corp. Ad in 1937. The Snow Bird is still there now owned by the North Slope Burrow. 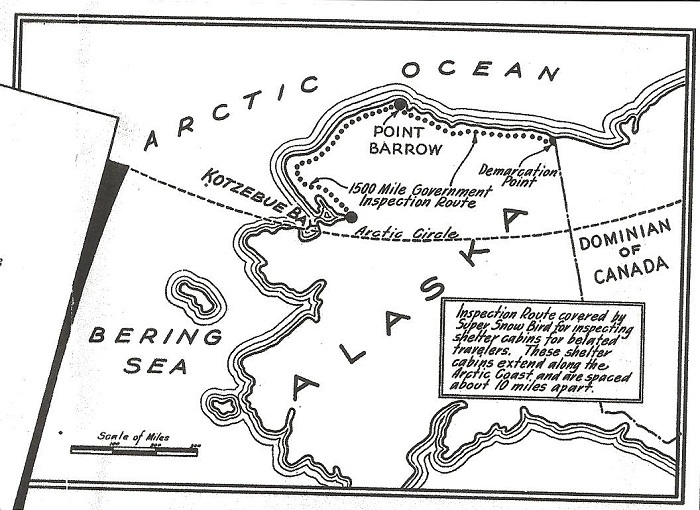 This was a long time before the Prudo Bay Oil fields. Radio is still a main stay in Alaska. I've known Bruce since I was 18, and he does indeed collect old radios.